You know that the LS3 is the hot new small block V8 in the GM arsenal, but you still want more. We proudly offer you the LS 376/515, an upgraded LS3 that is equipped with an aggressive camshaft and GM Performance Part's exclusive carbureted intake manifold. 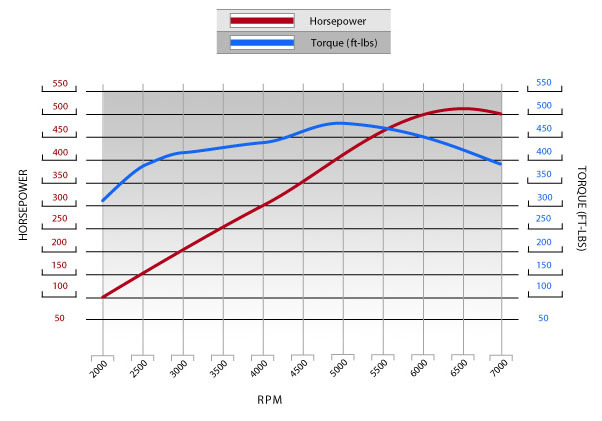 Two simple upgrades that add up to 515 horsepower – a 115 horsepower bump over the stock LS3. To match the high flow rate of the LS3 cylinder heads, our GM Performance Parts engineers installed the "ASA Hot Cam" (p/n 12480110). This is a hydraulic roller camshaft that offers up .525-inch intake and exhaust valve lift numbers and duration @ .05-inch of 226° intake and 236° exhaust. It truly is a "hot cam" that offers up an aggressive lope at idle and a buzz saw power band that never stops. The GM Performance Part engineers coupled that aggressive camshaft and high flowing cylinder head design with our new carbureted water intake manifold specific for the L92/LS3 cylinder heads (p/n 25534401). The manifold offers a dramatic increase in horsepower and a simplified installation. If you like what you see with the new LS3, you'll love the LS 376/515. 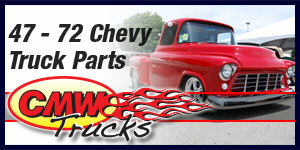 It's everything you want in a small block V8 – big power, simple package, and a big-inch foundation. The GM Performance Parts intake allows for an easy installation that you will find familiar while still being very powerful. 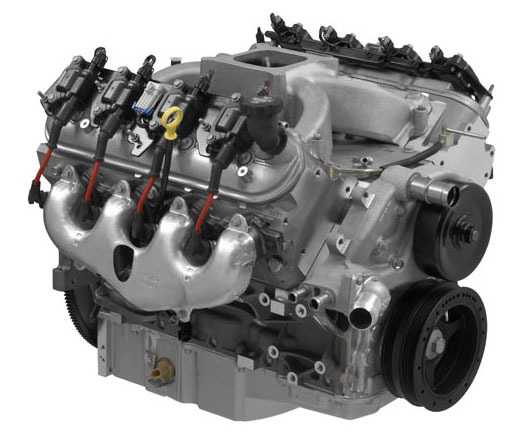 The LS 376/515 – the next great small block from GM Performance Parts.